The repair experts at iFixit have shared teardowns of the iPhone XS and iPhone XS Max, providing a look inside the latest models. While the iPhone XS and iPhone XS Max have improved IP68-rated water resistance, iFixit says it could not find any obvious evidence of increased waterproofing, with the SIM tray gasket and other seals looking more or less the same. Dutch repair website FixjeiPhone had found the iPhone XS was a bit harder to open. After removing the displays, iFixit uncovered a few differences with the iPhone XS Max compared to the iPhone XS, including a larger Taptic Engine and an extended logic board, with one of the display connectors moved to the bottom. It appears the iPhone XS Max also has a slightly louder earpiece for phone calls. The teardown corroborates that the iPhone XS has a new single-cell L-shaped battery, while the iPhone XS Max battery remains two cells. As uncovered in Chinese regulatory filings, the iPhone XS and iPhone XS Max have battery capacities of 2,658 mAh at 3.81V and 3,174 mAh at 3.80V respectively. Since the L-shaped batteries have six sides, rather than four like a rectangle, iFixit says Apple has “notched” the internal corners of the batteries in the iPhone XS and iPhone XS Max to prevent undue stress from thermal expansion. Moving on to the logic board, there is a new Apple-branded power management chip in the iPhone XS Max. Reports had suggested Apple would start using its own power management chip in at least a portion of its 2018 iPhones, as it gradually reduces its dependance on Dialog Semiconductor. The teardown does not indicate whether the gigabit-class LTE modems in the latest iPhones are supplied by Intel and/or Qualcomm. 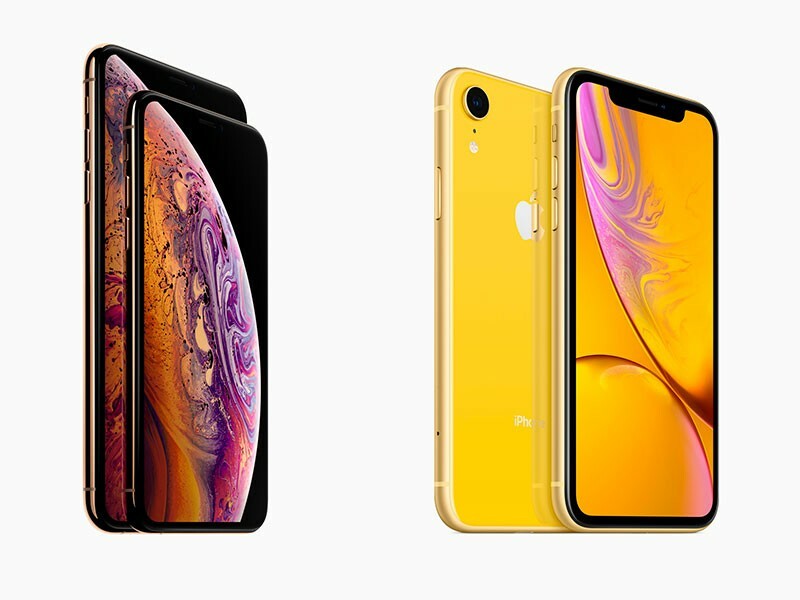 iFixit confirms the wide-angle sensor size has been increased by 32 percent in the iPhone XS and iPhone XS Max. Pixel size has also been bumped, providing better low-light performance and contributing to the new “Smart HDR” feature. iFixit gives the iPhone XS and iPhone XS Max an overall repairability score of 6/10, with 10 being a perfect score. The repair experts say display and battery repairs remain a priority in the iPhone’s design, but the all-glass design means the entire chassis must be replaced if the back glass cracks.